Northwestern University, a leader in cancer nanotechnology research, has received a five-year, $11.7 million grant from the National Cancer Institute (NCI) to use nanotechnology to develop next-generation cancer treatments. Extensive efforts to battle cancer during the last few decades have resulted in overall cancer death rates declining. Major challenges still remain, however, in understanding, detecting and treating this highly complex disease, and cancer continues to be a leading cause of death in the U.S. and worldwide. With the NCI support, the new Northwestern University Center for Cancer Nanotechnology Excellence (Northwestern CCNE) will use nucleic-acid-based nanoconstructs called Spherical Nucleic Acids (SNAs) to gain access to intracellular environments, discover new aspects of cancer biology and create effective cancer treatment options. SNAs are nontoxic to humans, making them a versatile tool in medicine. They were invented at Northwestern in 1996 and have been used for therapeutic purposes since 2010. Under the direction of principal investigators, Chad A. Mirkin and Dr. Leonidas C. Platanias, the Northwestern CCNE combines the strengths and resources of the International Institute for Nanotechnology (IIN) and the Robert H. Lurie Comprehensive Cancer Center of Northwestern University. The center will unite scientists, engineers and clinicians from diverse fields, such as nanoscience, cancer biology, chemistry, materials science, physics, engineering and medicine. They will work towards the common goal of developing SNA nanostructures poised to enter the clinic as revolutionary, cancer-killing agents to improve and save the lives of patients suffering from glioblastoma multiforme and prostate cancer, two of the most deadly forms of cancer. Recently, the field of nanotechnology has offered up a multitude of interesting structures, materials and tools that are showing promise in the development of new detection and treatment methodologies. These methods could permit highly efficacious, targeted and personalized solutions for the prediction of prognoses as well as for early diagnosis and treatment of patients struggling with advanced cancers. In addition, nanoscience and technology are enabling fundamental discoveries in the fields of cancer biology, genetics and oncology. Within these realms, nucleic-acid-based nanostructures such as SNAs offer interesting opportunities, because they can be used to access and interact in unique ways with biological systems and structures, including cancer cells and tumors, modulating their intracellular genetic pathways and reprogramming their cellular biology. The CCNE will feature three projects (one discovery-based and two translational) and one core facility. The center also will have for-profit partners united to provide novel nanotechnology-based solutions to daunting and complex issues in cancer research and treatment. “We are pleased to see continued participation of Northwestern University’s IIN and Lurie Cancer Center in the NCI Alliance for Nanotechnology in Cancer program,” said Piotr Grodzinski, director of the NCI Office of Cancer Nanotechnology Research. NanoFlares are spherical nucleic acids with gold nanoparticle cores outfitted with single-stranded DNA “flares.” NanoFlare technology is the first genetic-based approach that is able to detect live cancer cells in the bloodstream, long before they settle and form a dangerous tumor. “The support from the National Cancer Institute will enable researchers to continue to make significant cancer-relevant discoveries that ultimately can be transferred to the clinic and profoundly impact the way cancers are studied and treated,” Platanias said. Platanias is director of the Lurie Cancer Center and the Jesse, Sara, Andrew, Abigail, Benjamin and Elizabeth Lurie Professor of Oncology at Northwestern University Feinberg School of Medicine. Building upon the significant advances in cancer research and nanotechnology obtained at Northwestern during the past 10 years (the NCI has supported a Northwestern CCNE since 2005), and operating within the framework of a single university, the Northwestern CCNE will optimize the intensive level of integration and collaboration required to create an accelerated pathway -- from conception to clinical trial -- for development of nanomaterials and nanodevices to overcome cancer. 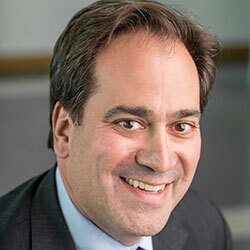 Mirkin is director of the IIN, the George B. Rathmann Professor of Chemistry in the Weinberg College of Arts and Sciences and a Lurie Cancer Center member. He also is professor of medicine, chemical and biological engineering, biomedical engineering and materials science and engineering. In addition to research, the Northwestern CCNE is committed to educating and training scientists who can work at the interface of nanotechnology and cancer research; encouraging and supporting trans-alliance training opportunities and collaborations; and providing effective mechanisms to disseminate knowledge to the larger community. Some of the strategies to achieve these goals include support for trans-alliance research and pilot projects, integrative training in nanotechnology and cancer, an intramural seminar series, medical student summer fellowships in nanotechnology, summer research programs for undergraduates, nanotechnology boot camps for clinicians and annual mini-symposia. The IIN is an umbrella organization that represents and unites more than $800 million in nanotechnology research, educational programs and infrastructure. The Lurie Cancer Center is an NCI-designated, comprehensive, university-based, matrix cancer center conducting a broad range of multidisciplinary basic, clinical and population science research with more than $167 million dollars in annual extramural funding.